In addition to the myriad photos of Joe Biden awkwardly nuzzling women who are just trying to do their jobs, not to mention the firsthand account from Nevada politician Lucy Flores, another story has surfaced that suggests Joe Biden might have a problem respecting women’s personal space. 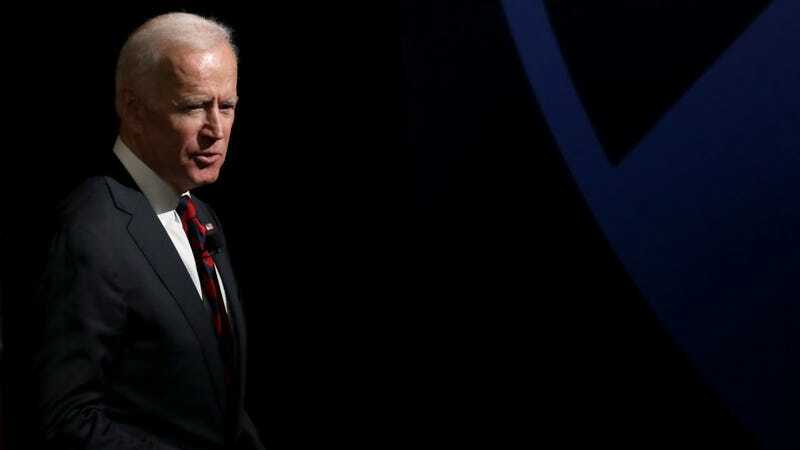 Last Friday, Lucy Flores published an essay in The Cut alleging that Biden smelled her hair and kissed her head just as she was set to deliver a campaign speech during her bid for lieutenant governor of Nevada in 2014. Maybe just an “I’ll stop doing that” would suffice here, Joe. Anyway, he’s still probably going to announce his presidential campaign sometime in the near future.